Macular degeneration, also known as age-related macular degeneration (AMD), occurs when the macula deteriorates. Macular degeneration comes in two types – wet and dry. The early signs of AMD include a dim, blurry spot in the middle of your vision. The spot may increase in size and become darker as the condition progresses. 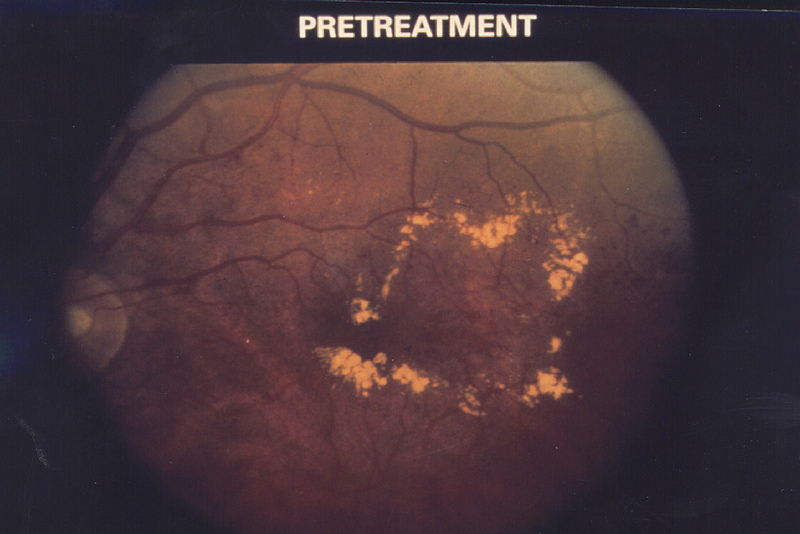 Unfortunately, there is no treatment for the dry form of macular degeneration. To help slow down the progression of dry AMD, taking high levels of antioxidant vitamins may help.The recommended formula of vitamins is the Age-Related Eye Disease Study (AREDS) formula, which is available over-the-counter at your local pharmacy. It is important to know that Dry AMD can convert to Wet AMD at any time. If you have been diagnosed with Dry AMD, you should perform daily Amsler grid testing to monitor any distortion or dark or blurred spots that appear in either eye. If these appear, bleeding may be occurring and you should contact your Precision Vision specialist immediately. If you have been diagnosed with Wet AMD, there are treatment options available, including laser surgery or injections to help reduce or stop the bleeding.